We are trusted name in manufacturing an assortment of Belt Conveyor. These belt conveyors are employed in modern material handling systems. 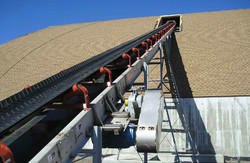 Looking for Belt Conveyor for Material Handling ?